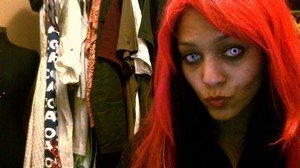 Create a truly scary Halloween costume with our Bloody Saw Contact Lenses. 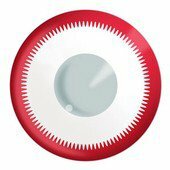 These lenses feature a jagged red ring on a plain white background. They completely cover up your natural eye color, which makes them very eye-catching. 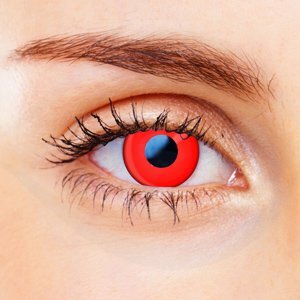 These red and white lenses would be perfect for a zombie costume or freaky horror movie character costume. 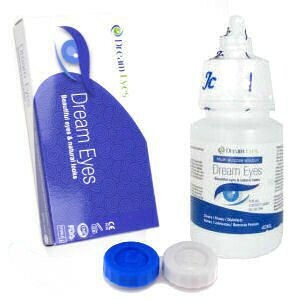 Ocean Colored Contact Lenses are a great choice for costumes and parties. They combine bright fashion designs with exceptional quality and comfort. These colored contacts feel great, thanks to their high water content and oxygen permeability. 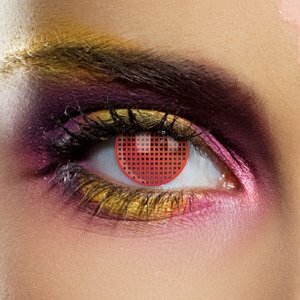 Comfortable to wear and easy to clean, these colored contact lenses make it easy to create a stunning costume look.